Native to the Pacific Ocean, lionfish are progressively invading the north_western Atlantic and the Caribbean, where they have no natural predators. Learn what action is needed to control the lionfish population and, during two scuba dives, learn practical ways to safely and humanely capture and euthanize these fish. Free diving, or breath_hold diving, is gaining in popularity around the world. Learn about the physiological effects of free diving and techniques used for effective breath_hold dives. 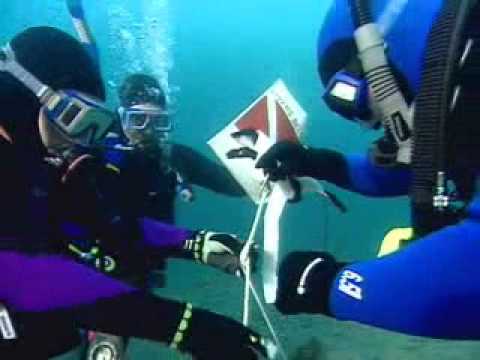 During one confined water and two open water dives, practice breathing techniques, effective diving and swimming underwater, and demonstrate rescue techniques for a free diver. Although most scuba dives are made with a buddy, an experienced diver may want or need to make dives without a partner. During the Self_Reliant Diver course, you learn about potential risks of diving alone and the value of equipment redundancy and necessary back_up gear. During three scuba dives, you develop skills for self_reliance and independence, while becoming a stronger partner in a dive pair or team.